Please call or email us if you have any questions about TurfPro USA or any of our other products. sustainable products. 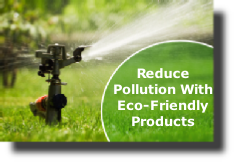 We ship and package all products in the most earth friendly way possible while ensuring the integrity of our products and reasonable cost to our customers.